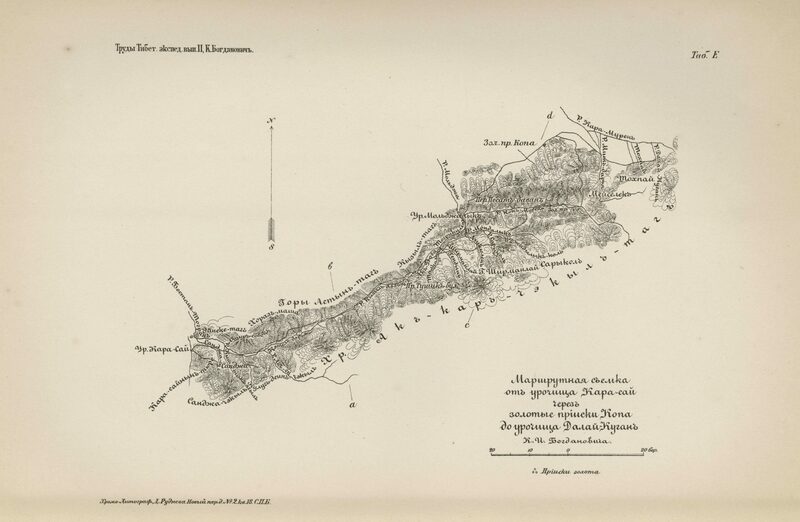 This map can be found in appendix to the second volume of Труды тибетской экспедиции 1889-1890 гг. 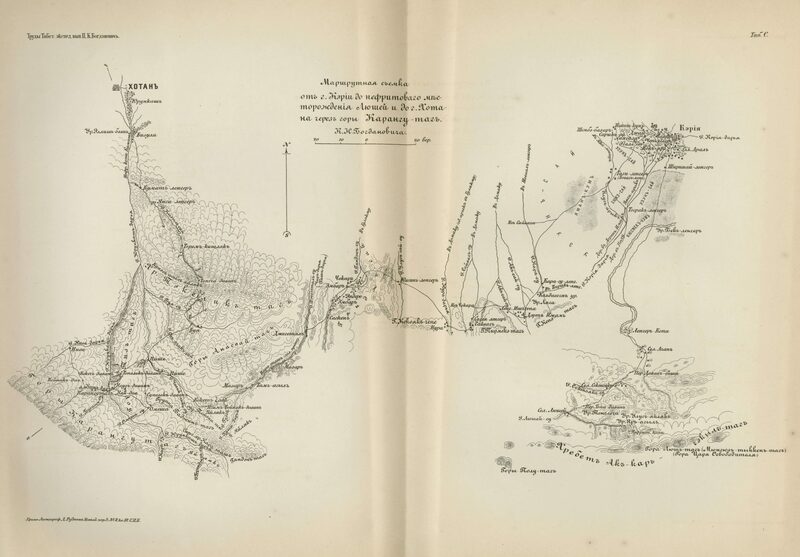 подъ начальствомъ М. В. Певцова [Works of the Tibetan expeditions 1889–1890 under the authority of M. V. Pevtsov] edited by M. V. Pevtsov and published by the Russian Geographical Society in 1892. 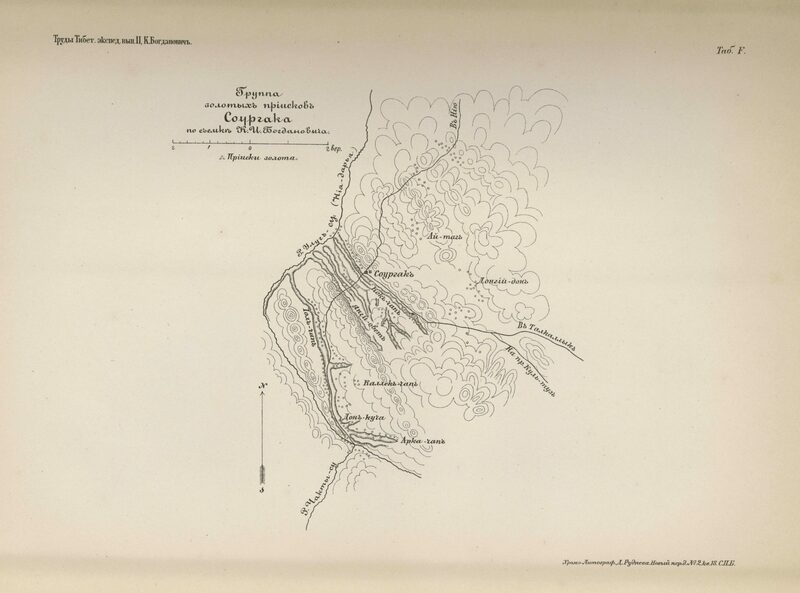 This is a route survey of the area around Karasai, the Kopa gold mines and Dalai-Kurgan. 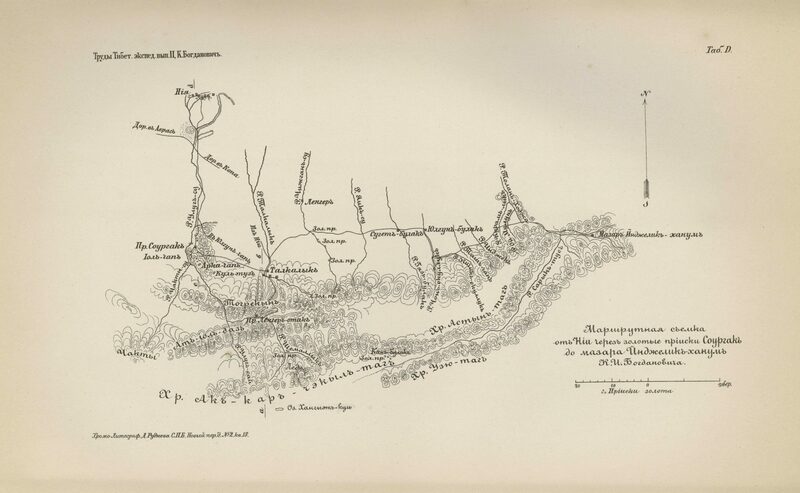 The area is located between the Takla Makan Desert to the north and the Kunlun Mountains to the south, and east of the cities of Hotan and Keriya. 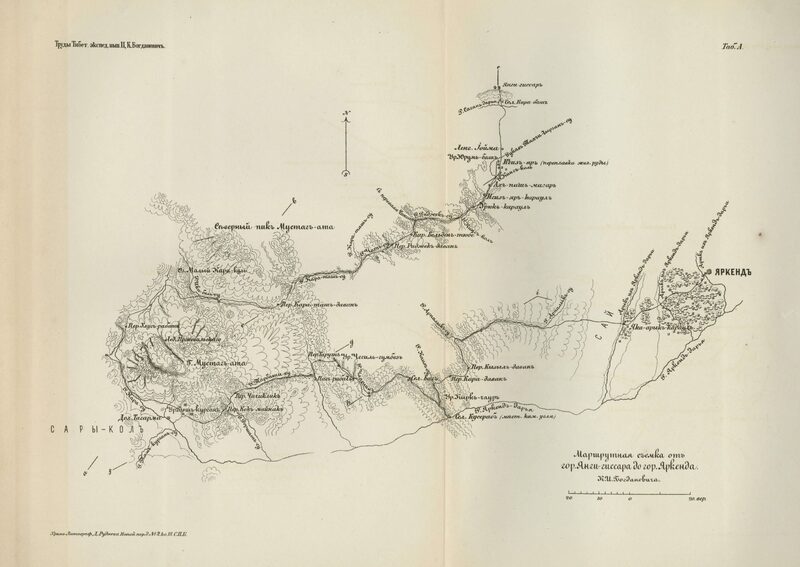 The map is based on data compiled by the geologist and mining engineer, K.I. Bogdanovich. 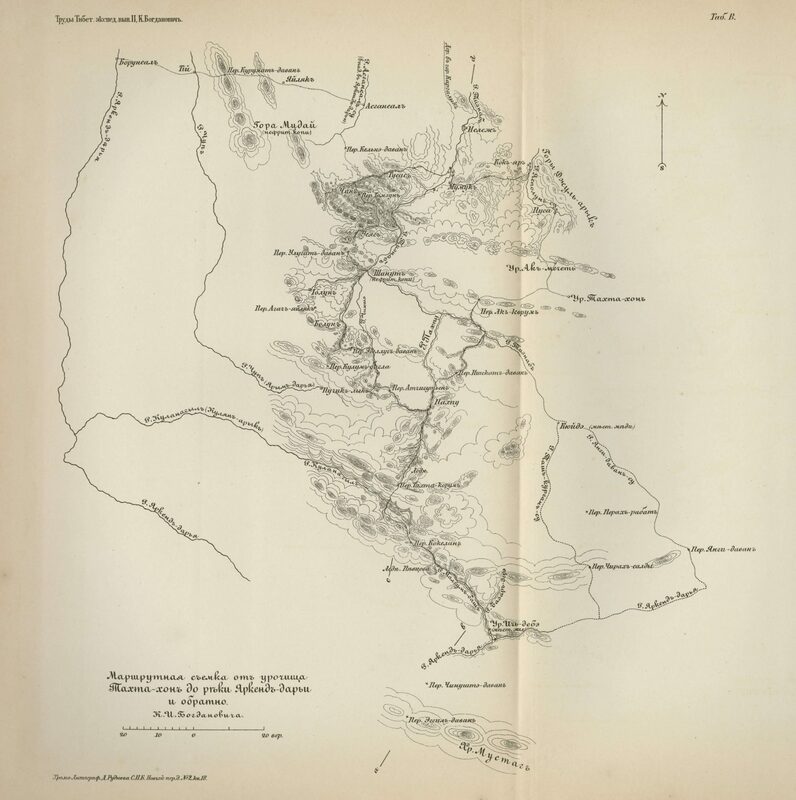 Rivers and mountains are sketched out and gold mines are marked with dots. 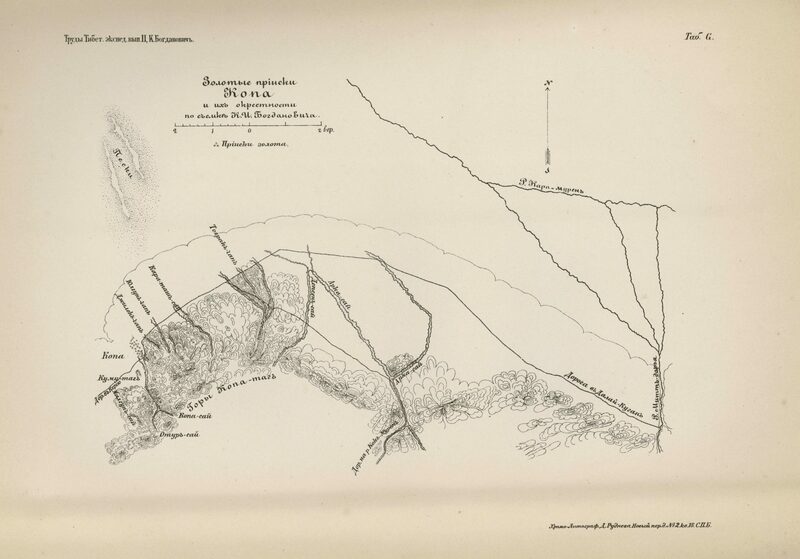 The Kopa gold mines are illustrated in more detail in another map which can be found in the same volume as the present map. 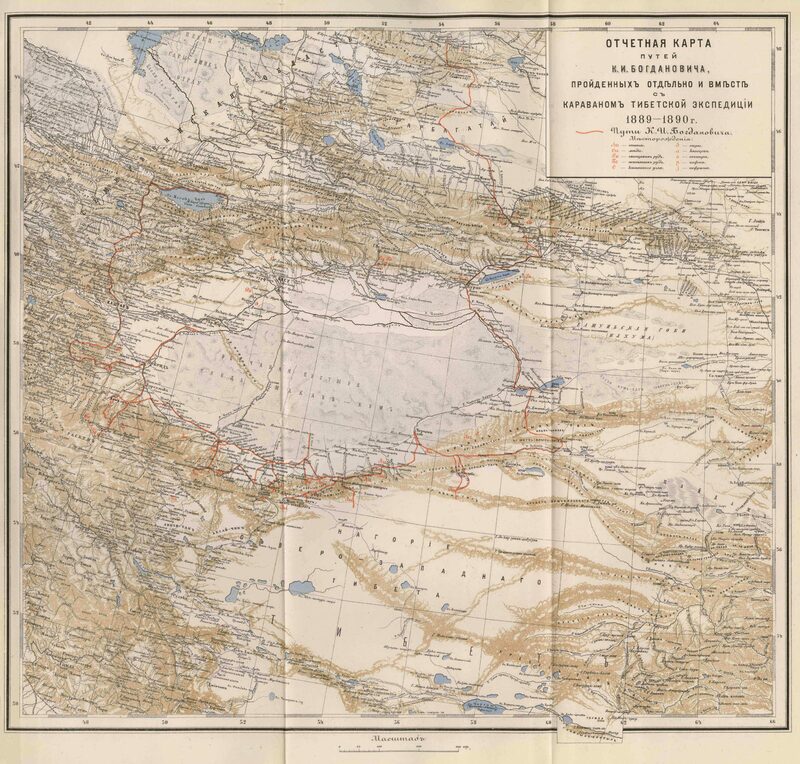 Seven other maps can be found in appendix to the same volume: one large-scale overview of Eastern Turkestan and four additional small-scaled route surveys of areas to the south and west of the Takla Makan Desert, as well as two sketch-maps of areas with gold mines.